Previously a PlayStation VR exclusive, Salary Man Escape is now available on the PlayStation 4, PC, HTC Vive, and Oculus Rift. 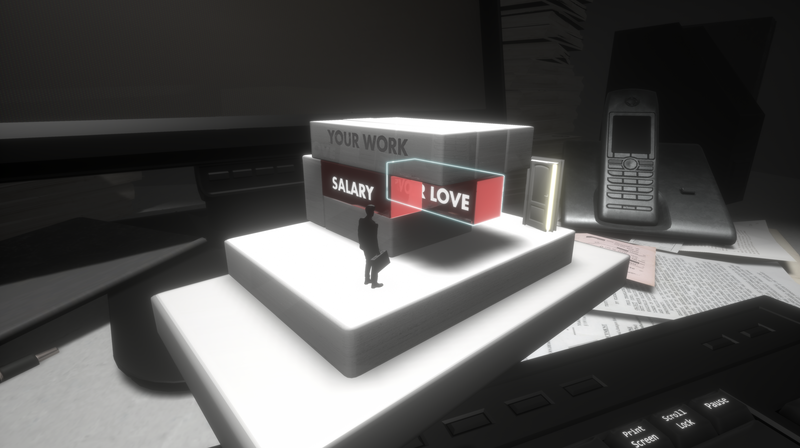 This physics-based puzzler pokes fun at 9-to-5 office life, placing the player in a “surreal, noir-esque office environment” in which “desks, monitors, and keyboards” create obstacles and traps. The game features a noir-esque visual style, contrasted with a cheerful, classic Japanese 80’s inspired soundtrack. Salary Man Escape is available now for the PlayStation 4, PSVR, HTC Vive, and Oculus Rift. The PS4 version costs $15.99. Be sure to read our review on PS VR to find out if Salary Man Escape should be added to your wishlist.